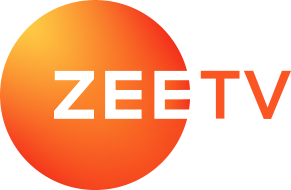 ZEE5 original series The Final Call journeys through a pilot’s quest to end his life mid-air and the beginning of a new eternity for the 300 passengers aboard his flight. As the narrative evolves through four souls, the web drama offers a fresh perspective on how we look at life and death. Besides, it changes the way you will look at your own life and living! Based on Priya Kumar’s novel ‘I Will Go With You: The Flight Of A Lifetime,’ Arjun Rampal and Sakshi Tanwar elevate The Final Call to steps of glory. Every plot twist and turn leaves you gasping for breath, each making you take a deeper dive within your past, present, and future. The suspense-filled thriller turns out to be a ride the passengers and authorities involved will never forget. Lost in the pages of history are such infamous cases of plane hijacking that shook the world. Starting with the very first recorded plane hijack is the case of a commercial aircraft dated back to July 16, 1948. It turned out to be an unsuccessful attempt to get control of a Cathay Pacific seaplane, eventually leading it to crash in the sea off Macau. In December 1999, an Indian Airline Flight IC-814 was hijacked by a Pakistan-based terrorist group. Known to be the longest hijacking case to be recorded ever, it lasted for about a week with landings in Amritsar, Lahore, Dubai, and Kandahar. Speaking of landings, remember the scene where ATC chief almost got Captain Karan Sachdev to land the plan at Port Blair? In case you missed an episode, read to catch up with the story of The Final Call so far. Needless to mention, these have been the most fatal hijackings of all time. 19 terrorists took over four planes including two of American Airlines and two United Airlines flights. Out of American Airlines Flight 11, American Airlines Flight 77, United Airlines Flight 93, and United Airlines Flight 175, three were used as cruise missile for the suicide bombing on buildings. D.B. Cooper is now famously known as the devil-in-disguise. Albeit, his real identity remains to be still under tight wraps; he was the mastermind behind the hijacking of a Boeing 727 aircraft in the airspace between Portland, Oregon, and Seattle, Washington, on November 24, 1971. He had taken $200,000 in ransom. Four Palestinian militants had hijacked a Lufthansa flight 181 mid-air and taken it to Mogadishu (Somalia) in 1977. After landing, German special missions group members, GSG 9, assisted by two SAS advisors, marched into the plane. They killed three of the terrorists in a mission codenamed Operation Feuerzauber (Fire Magic), thereby saving any harm to the passengers held hostage. Can you think of any other plane hijack incident that proved to be deadly and went down in history? Share your suggestions with us in the box below. Don’t forget to watch the season finale of The Final Call on ZEE5! Let us know what you think of Arjun Rampal and other actors’ performance in the digital drama.